Food refusal is encountered in medical practice every day, in sick children, debilitated adults, and delirious patients to name a few. What makes political food refusal special? Is it because the political hunger striker is a competent adult that his claim on us to respect his dignity is stronger? Is it because political hunger strikes are all about keeping the limelight and attracting as much media coverage as possible? Is it because the government is a highly concerned and interested party in the outcome of the strike? It is for all these reasons, and more, that governments, international human rights organizations, prison services, and local hospitals have looked for a formula to regulate forced feeding in these prisoners / detainees / demonstrators / patients. Whereas the World Medical Association, the International Committee of the Red Cross, and the Human Rights Council of the United Nations all see forced feeding as intolerable, inconsistent with the principle of patient autonomy, a violation to the right to health, or tantamount to torture, the European Court of Human Rights has ruled that it is not inhuman and degrading if aimed at saving the life of the hunger-striker. In Israel, the Israel Medical Association takes the former view and categorically forbids its members to cooperate in forced feeding, while the government has passed an amendment to the prison regulations that enables the court to require the hospital to institute forced feeding when approached by the doctor who detects danger to the striker’s life. Clearly the government has an interest in having this instrument to override the hunger-striker’s autonomy when his death might create a martyr and ignite serious public unrest. This, however, is not a relevant consideration for physicians. The duty of all doctors is to respect their patients’ wishes, which, in this case, are to refrain from eating. But a physician’s course within this dynamic is far from being straightforward. The hunger-striker, to start with, does not actually want to die, but rather to achieve his political ends, using the strike as a manipulative weapon against his adversary. If he achieves these ends, he will stop his strike. In most cases the striker understands that his strike is not going to bring about his people’s freedom, whether it be in Ireland, South Africa, or Palestine. The strike generally has more limited goals that can be successfully negotiated, such as an end to administrative detention, shortening the term of imprisonment, improving conditions of detention by enabling visits from family and lawyers, removal of restraints while in medical care, etc. Moreover, as the strike proceeds, the patient’s mental state may alter as the brain is affected by the metabolic changes in the body, and his decisions may become less rational. The government too is not always adamant in wanting to keep the prisoner alive, because the political situation is not always that inflammatory and the striker not always that prominent. In some cases they would rather have him die than expose themselves as weak and amenable to pressure, inviting further hunger strikes. The Israel Medical Association, too, has set limits to its prohibition of forced feeding. Whereas an unconscious patient is usually treated according to his last expressed or known wishes, in the case of hunger strikers they say that the patient should be allowed to lapse into coma and then feeding should be instituted, even though we know the patient did not want it. The point here is that the opposition to forced feeding is less one of principle, derived from patient autonomy, but rather it is to avoid the indignity, cruelty, pain and dangers of force feeding a conscious and resisting patient. The problem is that prolonged starvation may lead to severe disturbances in the balance of electrolytes in the blood, which can lead to sudden death due to cardiac arrest rather than a slow process of coma allowing time for effective re-feeding. Another intermediate path is to persuade the striker to take at least vitamins in order to prevent permanent neurological damage after the end of the strike. At a more principled level, a group of Israeli doctors led by Professor Shimon Glick, have come out against the Israel Medical Association, seeing it a fundamental duty of the doctor to save a patient’s life, whatever the circumstances. 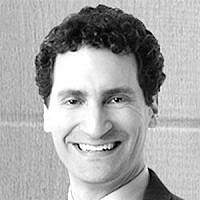 This is an attitude well-grounded in Jewish legal tradition. It is also one that resonates with the special value of life that is an inextricable part of Israeli culture as expressed in the extraordinary efforts made to evacuate and treat the injured soldier, and in the highly permissive legislation enabling fertility treatments on the public purse in situations where this is not the case in other countries. This position too has its problems when taken to the extreme, such as maintaining an unconscious person with an incurable and terminal illness on artificial ventilation and nutrition for months on end, or ignoring the pleas of the conscious terminal patient to be allowed to slip away from his intolerable suffering. Furthermore, if it is life per se that is of value, then it is of no matter to the doctor whether the patient is a good or a bad person, Jewish or not, friend or foe. Political hunger strikes occur under unique practical conditions. Mass strikes must be dealt with by clear rules within the prison system, and generally disciplinary measure will be enough to break the strike – such as solitary confinement, annulment of all privileges and contacts with the outside world. 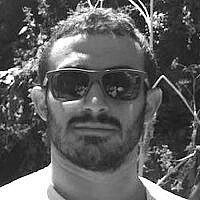 Many of the strikers are less individually committed but motivated by group pressure and they are the ones who will often surreptitiously eat or drink while maintaining a pretense of fasting (irrespective of such ploys as planting food in Marwan Barghouti’s cell and releasing video of his lapse). 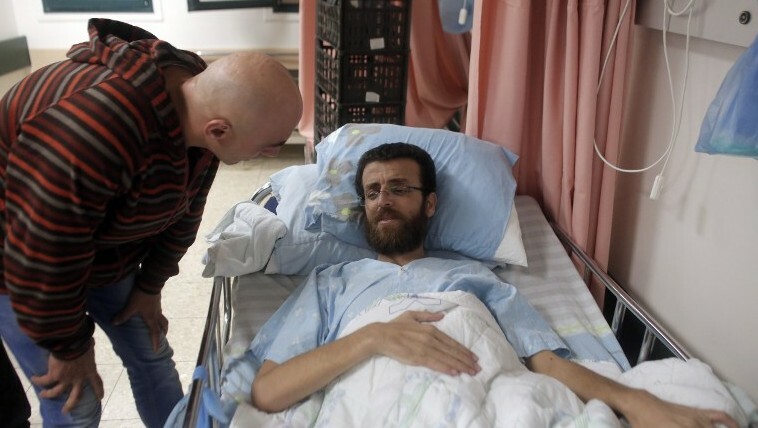 In contrast, the individual high-profile hunger striker who is transferred to the public hospital for treatment poses a different challenge altogether. These are the people who are truly prepared to die and whom the government really does not want to lose as martyrs. The independent physician has a critical part to play in this situation by forming nothing more or less than a normal doctor-patient relationship. This is contingent on a non-judgmental approach that engenders mutual trust. If the physician genuinely wants to strive to maintain life and makes that quite clear to the patient, but at the same time demonstrates empathy and does everything possible to preserve the dignity of the patient, then he or she can contribute to creating that space for negotiations with the authorities over such intermediate gains as will allow the prisoner to end his strike as a success and the government to maintain control over the overall phenomenon of hunger striking. Preserving the dignity of the patient includes such things as insisting on the withdrawal of shackles during medical examinations, absence of guards in the room during medical consultation, allowing the patient personal privacy and decent conditions for washing and sleeping. I have seen one such patient kept in a single-bedded hospital room with four armed guards happily chatting to each other at all hours of day and night, as well as 24-hour closed circuit television surveillance in the room and the bathroom. Worst of all was the guards eating appetizingly smelling foods in the room leading to totally unnecessary stomach aches in the progressively enfeebled patient. By caring for the striker in hospital as a patient with respect and dignity the whole issue of forced feeding may be completely avoided. 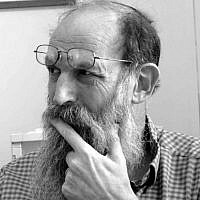 Prof. Michael Weingarten is a retired family doctor. He taught at Tel-Aviv and Bar Ilan medical schools. 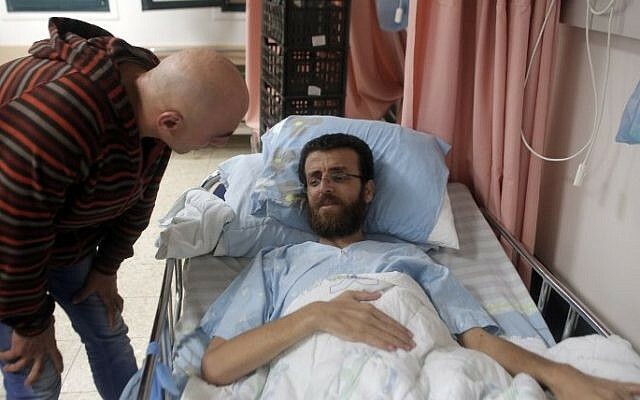 Prof. Weingarten was called in as independent physician to Khader Adnan Mousa when he was on hunger strike at Ziv Hospital while a senior member of Palestinian Islamic Jihad.